I think Star Studio uli and baka November issue. Sana cover uli si SARAH. sana nga poh tita C.. WOW!!!! tlgang bibili ako n2!!! wish u all the best IDOL!!! CARELINE launches the newest and fun way to be pretty! 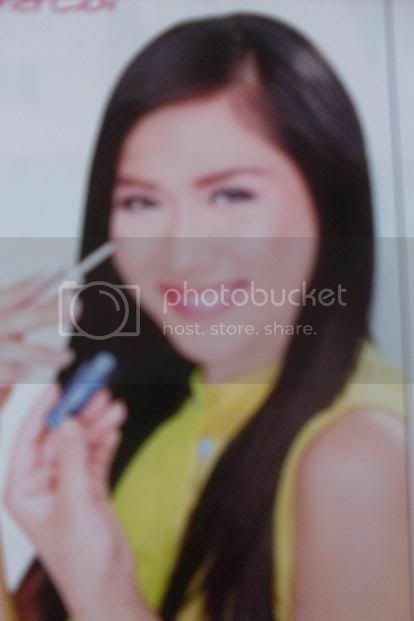 An exciting and cool TV Commercial featuring SARAH GERONIMO will be a sure hit for all teeners. Its main concept is to guide the teenagers of what truly beauty is. True beauty comes in different variety and it's a good thing CARELINE Cosmetics offers a lot of fresh and new choices for teens. The company aims to produce product choices that are skin-safe for the youth. With make-up products that are focused on Oil Control Formula, teenager can be trully assured that beauty break-outs such as pimples, acnes, dark spots and blemishes are solved and prevented. Versatility counts for CARELINE Cosmetics and SARAH GERONIMO, as they team up to produce an active awareness against the dull and boring moments of being a teenager. They always put emphasis on the discovery of becoming pretty and epitomize the spirit of modern youth. A magical wand is no longer a modern solution. But what is vital is that teens of today's generation know how to stand on their own and make their own choice. For years, CARELINE Cosmetics has been careful in choosing a RIGHT ENDORSER who is PASSIONATE, NATURAL, FUN-LOVING and a TRUE BELIEVER of the products. Evolving from her pa-sweet character, the LADY-LIKE SARAH is now ready to conquer the world with CARELINE Cosmetics on her side. Just like SARAH, nowadays, teenagers know what they want and aim to solve it among themselves. Thus, SARAH GERONIMO chooses to be fun and be pretty all at the same time! thank you for sharing. pero di ba natasha na siya ngayon? I FINALLY have my Sarah Mag copy. Yipee! The funny thing was, after weeks of searching in bookstores and magazine stands, I was able to buy it at a music store! Can't wait to read this when I get home. bumili ako ng magazine na ito. ito ata ung first SG item ko. so happy lang na kahit papaano nasusuportahan ko sya.